Hooking up your appliances can be confusing and tedious. It can be impossible without the right tools. Here at InSink Plumbing, we provide appliance installation services. If you need to install a dishwasher, oven, washer, or dryer, or another appliance, we can help you make sure that your appliance is installed correctly the first time. Don’t turn your appliance installation into a do-it-yourself job; call on our professional plumbers to ensure that your appliance is installed properly and quickly. Installing an appliance the right way is important. Without a proper installation, electronics can arc and cause a fire. Without a proper installation, water can leak and damage your home. 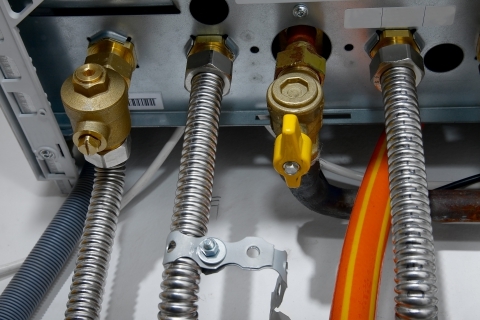 With a proper installation, your appliance will work just as it’s intended. Installations can be more complex than you might think. If your current plumbing or electrical outlets aren’t proper, they may have to be retrofitted to install your appliance. We know how to change fittings to allow for your appliance to operate, so you can get your appliance installation completed in one fell swoop. Since we have the right tools, loads of knowledge, and tons of experience, our appliance installations are quick. While it can take hours to install an appliance (and a trip to the hardware store for the right tools), InSink Plumbing comes prepared. We’ll be in and out in no time. Ready to have your appliance installed? Call on the plumbers and technicians here at InSink Plumbing for speedy, professional appliance installation.